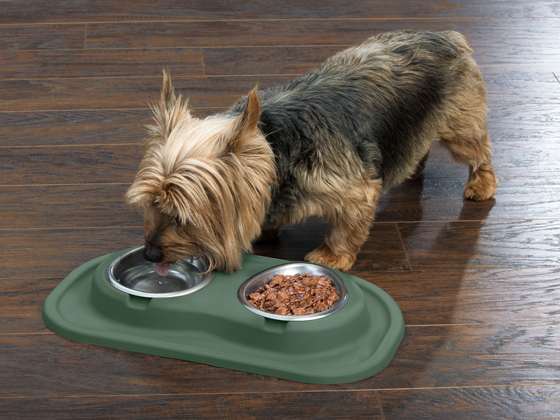 The integrated stand and mat are made from tough, durable and non-toxic plastics. 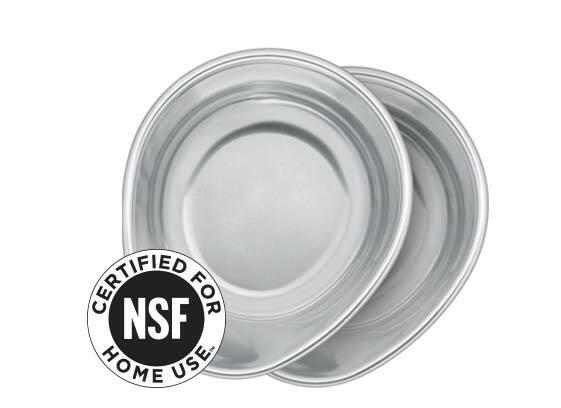 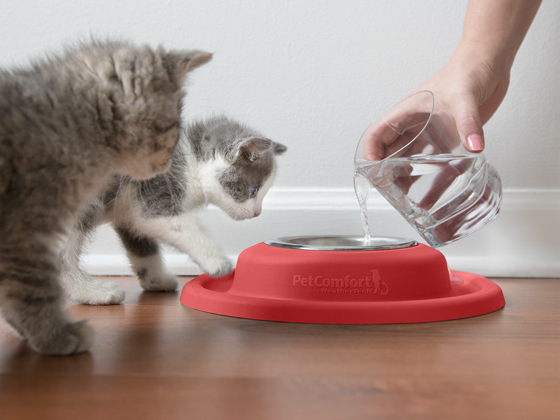 Featuring both anti-fungal and anti-bacterial additives it's safe for every member of your family (including the furry ones), and can withstand the most aggressive eaters. 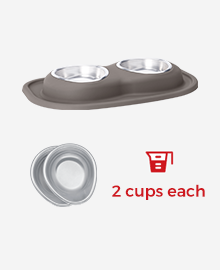 Available as a single or double bowl system! 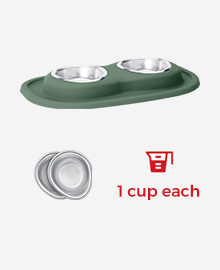 Portable and Compact Easily fits into any room in your house. 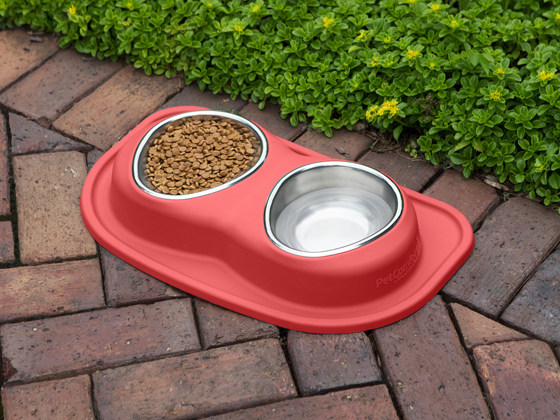 You can even bring it outside to your patio! 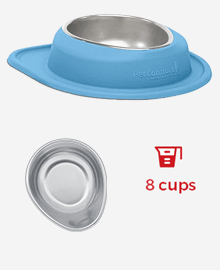 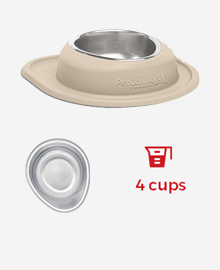 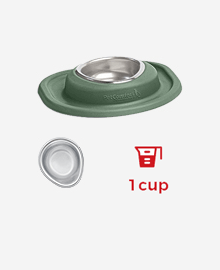 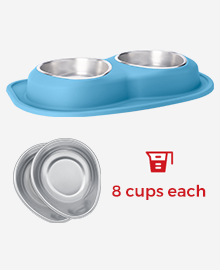 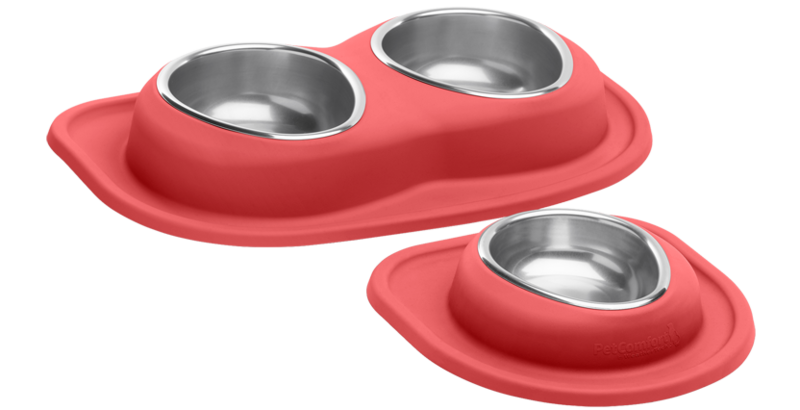 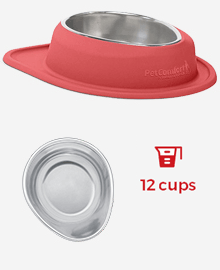 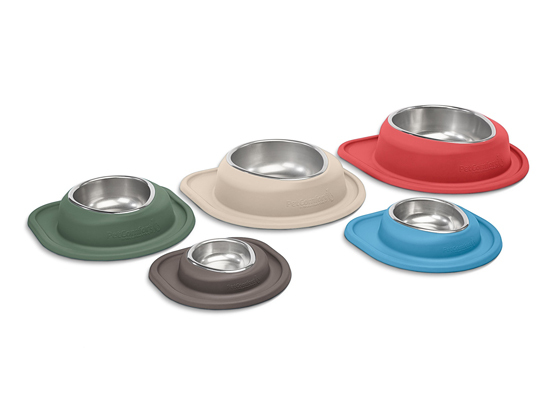 11 Colors and 5 Sizes to Choose From Available as a single or double bowl system, you can choose the right configuration and size for your furry friend, and the right color for your home. 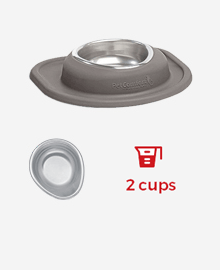 Easy to Clean Simply wipe the integrated mat and stand off with a damp towel or rag for quick clean ups, or just toss them in the dishwasher! 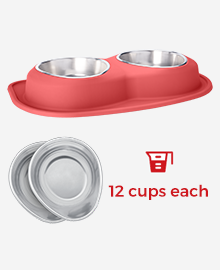 Every piece of the Low Feeding System is 100% dishwasher safe. 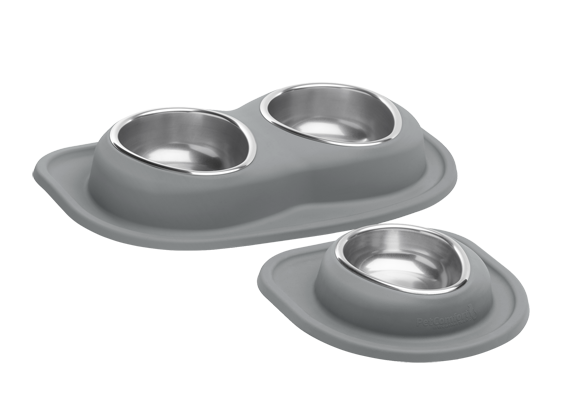 Sits Low to the Floor This feeding system combines the stand and mat into one functioning piece that keeps mealtime messes contained. 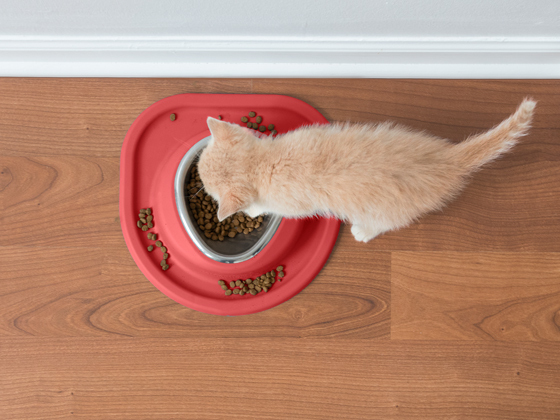 Dogs and cats evolved to eat off the ground, so a low feeding system offers a traditional experience during mealtime. 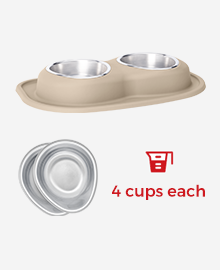 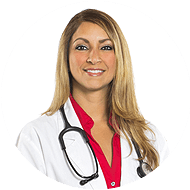 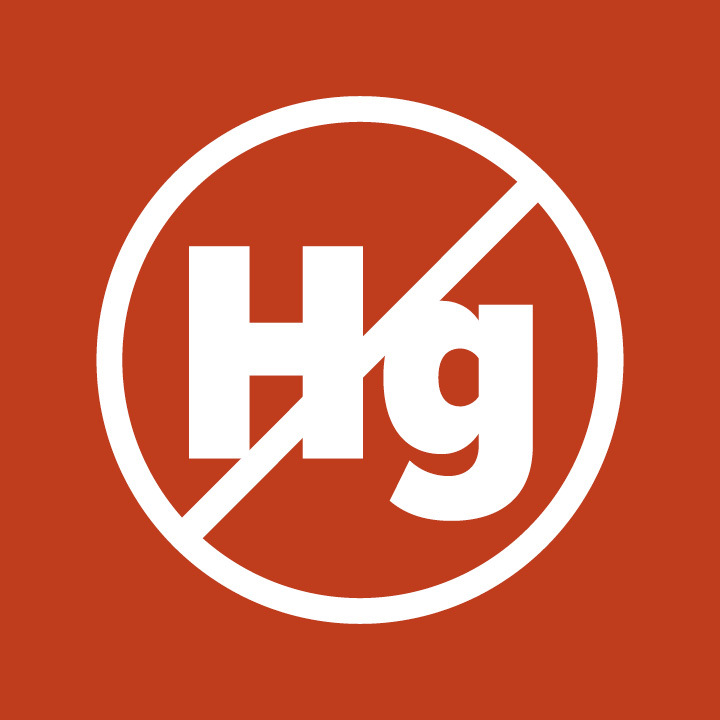 If your pet has no health problems, the low pet feeding system is totally acceptable. 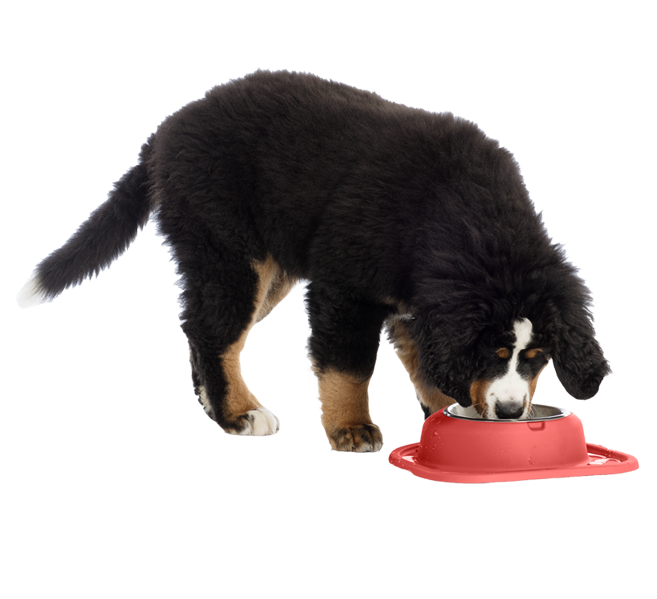 Not sure if the Low Pet Feeding System is right for your pet?